Suze genetian Liqueur is a french liqueur is made with wild gentian harvested from the Alps. Bittersweet and complex, with floral and citrus notes, it can be sipped as an aperitif, or used as an intriguing cocktail component. 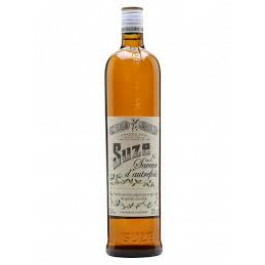 Suze Saveur D'Autrefois Liqueur is made with the strictest respect for tradition, the fresh gentian is perfect for making some very delicious cocktails like the Suze white negroni. 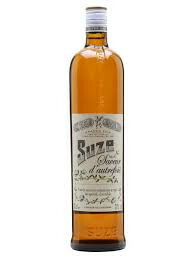 Suze Saveur D'Autrefois is a french liqueur is made with wild gentian harvested from the Alps. Bittersweet and complex, with floral and citrus notes, it can be sipped as an aperitif, or used as an intriguing cocktail component. Suze Saveur D'Autrefois Liqueur is made with the strictest respect for tradition, the fresh gentian is perfect for making some very delicious cocktails like the Suze white negroni.